If you’ve been told that video marketing is the future, you’ve been told right. 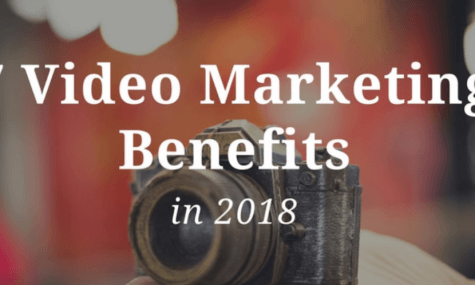 The marketing domain has been experiencing the power of video marketing for business for a while now but video content is only going to get more popular in 2018. Statistics reveal that more than 80% customers buy a product after watching a video put out by the brand or users. Video content is preferred over written content simply because the human brain processes visuals faster than text. Video marketing has a greater capacity to attract huge traffic and grab users’ attention. In fact, video marketing is the most preferred and suitable form of marketing for small local businesses or brands which are yet to establish themselves and reach new heights. In today’s marketing domain, a video is the center focus for the customers as well as businesses. Read the full report and know why you need to start video marketing today!